The recent report in The Miami Herald stating that the number of South Florida homeowners who owe more on their mortgage than their property is worth remains above 400,000 was very disquieting for the thousands of community associations in the region. Many of these associations have already discovered that their members who file for Chapter 13 bankruptcy have the opportunity to wipe away their association lien and second mortgages or secured credit lines if they are able to demonstrate that they have no equity in their property because it is now valued at less than what they owe on their first mortgage. 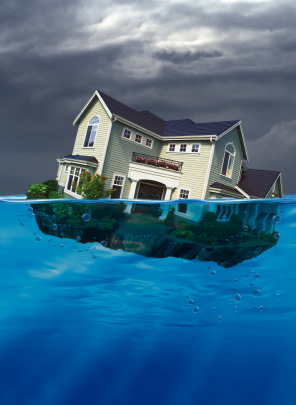 With so many homeowners underwater on their first mortgages in South Florida, the use of these lien stripping provisions under the bankruptcy code seems destined to continue to rise. Thankfully for the associations, there is a strategy that we have been using with considerable success to enable them to fight back and avoid lien stripping. It hinges on the fact that the criteria in the bankruptcy code for lien stripping to take place essentially creates an all or nothing requirement for the debtor who is trying to show that they have no equity in the residence. If the association is able to demonstrate to the bankruptcy judge that there is even just one dollar in equity in the residence, then the debtor is unable to strip away the association lien or second mortgage. The issue becomes a “battle of appraisers.” Given that, we are counseling our association clients in these cases to obtain detailed professional appraisals based on recent comparable sales and the condition of the residence that show that it is worth more than the balance due on the debtor’s first mortgage. We then submit the higher appraisal to the bankruptcy court, and in many of these cases we are able to reach a settlement to recoup some of the delinquent fees that would otherwise have been eliminated using lien stripping. In one recent case, the association was owed $28,000 and we secured a settlement for $17,000 to be paid through the Chapter 13 bankruptcy, marking a very successful outcome for the association in today’s “debtor friendly” bankruptcy world. The results, of course, will vary based on the amount that the homeowner owes under their first mortgage and the strength of the association’s higher appraisal. However, we have certainly realized a great deal of success using this approach, and we plan to continue using it on behalf of many of our association clients that are facing the prospect of receiving nothing for what they are owed from prior to their member’s bankruptcy filing.